Your dog can bring you so much joy, but your dog can also bring a lot of dirt, dander, and bacteria into your home. Staying on top of all of the cleaning can be a real headache, though keeping your home tidy doesn’t require a lot of time or expensive equipment. All you really need are a few good tricks to keep your home looking and smelling its best. Your dog’s fur can be snuggly, but dander and fur can also be a serious hazard to your health. The first line of defense against indoor allergens is typically your HVAC system, but you have to change your air filters on time for any real protection. According to a national survey, a quarter of Americans admit to not changing their air filters as recommended, and more than 26 million never swap out filters. But those who do change them find layers dust (80 percent of people), pet dander (40 percent of people), and even insects (18 percent of people). So, add this all-important, yet inexpensive task to your home maintenance to-do list. Another easy way to cut down on fur and dander in your home is to stick to a regular grooming schedule for your dog. If you suffer from allergies, you’ll want to bathe your dog at least once a month or more, and brush your pup afterward as well. Visits to a professional groomer are also recommended to keep your dog’s coat and skin healthy and flake-free. Floors can be another sore spot when it comes to keeping your home clean with pets. From house training to upset tummies, you are likely to find yourself dealing with a lot of messes on your carpet. The good news is that you don’t need to stock up on expensive specialty cleaning products to prevent stains. You can use baking soda and vinegar to quickly scrub those spots and neutralize odors as well. Be sure to blot (not rub) any liquids before you really begin to work on those stains. You will need a vacuum for the last step to keep your floors clean on a daily basis. Be sure to check out reviews for pet-friendly vacuums that cost less than replacing your carpet. To keep those carpets looking and smelling fresh, you may also need to budget for professional carpet cleanings. Shop around so you can find the best rate and quality of service, and be sure to ask about their cleaning methods to avoid problems with your carpet. When dog owners clean their homes, they tend to focus on fur, dander, and floors, and that’s definitely a clever mindset. However, if you are not careful about controlling other messes, you could end up with harmful bacteria inside your home. While bacteria from dogs can come from slobber, some of the dirtiest germs actually get tracked into your home by those adorable paws. 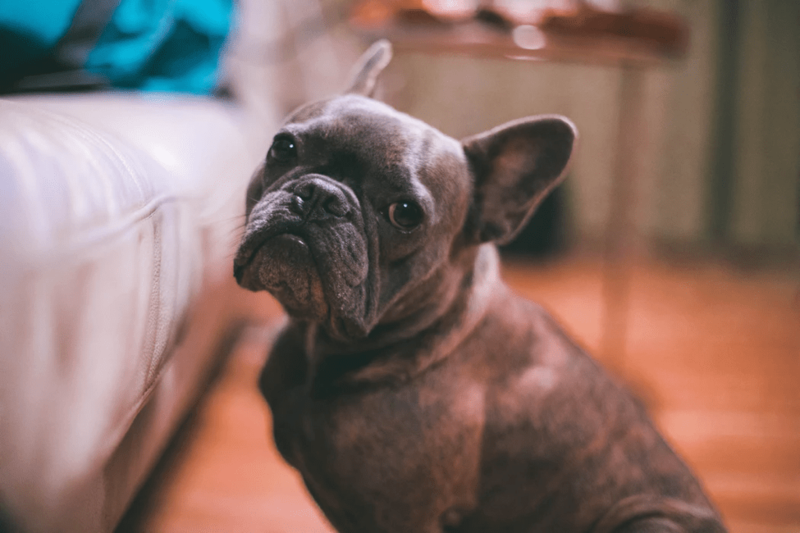 While you could spend countless hours scrubbing and cleaning your floors, a smarter, more cost-effective solution is to keep your pup from tracking dirt inside in the first place. There are several methods for keeping mud out of your home, from wiping paws down after potty breaks and walks to training your dog to wipe their own paws when coming in from outside. Training is always a less expensive option for preventing pet messes, so break out the treats and work on helping your dog learn some new tricks. Odor is another common pet problem in the home, but regular cleaning should keep smells to a minimum. If you do, still notice pet odors, you can use a few budget-friendly tricks to keep your home smelling fresh. No one can cheer you up like your dog, but no one can create messes in your home like your dog either. Luckily, all you need to keep your home clean and healthy are a few simple tricks and a regular routine of basic cleaning. Don’t let spots come between you and your best friend! Nice article. I saw lots of information here. Great job.